The 23-year-old found fame as one fifth of the boy band, formed on U.K. television show The X Factor, alongside Harry Styles, Louis Tomlinson, Niall Horan and Liam Payne. But Zayn broke millions of their fans' hearts when he left the group in March 2015. 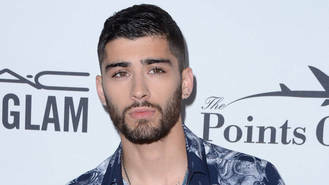 The Pillowtalk singer shared in his new self-titled memoir Zayn how he struggled to come to the momentous decision, but after talking it over with his mother Trisha Malik, things became clearer. "I was spiralling down into a very unhappy, very unhealthy place. I needed to reconnect with my family and feel some normality again," he writes in the memoir, reported Entertainment Tonight. "Finally, it was my mum who gave me the reassurance I needed to go with my decision. She said, 'If it doesn't make you happy, just don’t do it.'" Zayn walked away from the group in the middle of a world tour after being signed off with stress. He said in a statement at the time: "My life with One Direction has been more than I could ever have imagined. But, after five years, I feel like it is now the right time for me to leave the band." The British singer also reveals in the tome how he felt isolated within the band, and that while he enjoyed the positive support of the fans, musically he found recording under the 1D label a "struggle". “I stuck it out because the support and all the positive responses we were getting from our fans around the world were incredible, and I respected that it was working for my band mates," he explained. "To be honest, though, it was a struggle for me - the fact that we didn’t share the same musical taste. It felt a bit like being forced into a mould I would never fit. Zayn has since gone on to enjoy huge success as a solo artist, earning a No.1 chart placing with debut album Mind of Mine in both the U.K and U.S.